Dane Vannatter-Songs from the Heart, May 17, 2014 - Go Foxburg! 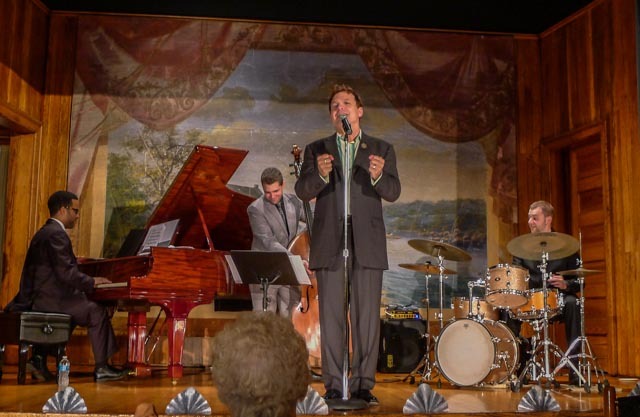 Returning by popular demand, Dane Vannatter charmed and delighted his Lincoln Hall audience on Saturday, May 17, in an intimate Cabaret Evening of song performing with a world class jazz trio, including Daniel May, piano, Tony DePaolis, bass, and Michael Tomaro, saxophonist. The trio providing the background for Dane is composed of nationally-known jazz artists whose careers go beyond live performance into the areas of composition, movie scores, touring, recording and education. Lincoln Hall was aglow with nightclub cabaret-style seating and candlelight, a perfect setting for a rel axing night out. Wine and cheese was served. Once again Dane left the audience begging for more of his unique vocal artistry and sensitive interpretations of the classic American songbook displaying his vocal palette of colors. Dane ran the gamut of emotions singing a program of heartfelt, passionate, humorous, joyous, touching songs that spanned seven decades. The audience was enchanted. During the evening members of the audience got up and danced at the back of the hall. Dane hails from Muncie, Indiana where his grandparents were Church of God ministers who traveled the country playing and singing for death row prisoners. He attributes his love of music to his grandmother, who lovingly taught him to play the piano and introduced him to the wonderful complexities of harmony. Equally influential in Dane’s early musical experience was his father’s love of jazz and masters of the song, such as Kay Starr and Billie Holiday. His father’s extensive and varied album collection provided the vehicle through which the young Dane began to learn and experience the art of interpreting song. Whether they use their talents in the popular or classical music genres, most singers begin to reach a vocal maturity in their late 20’s or early 30’s. It was at this age that Dane began to approach singing very seriously as a result of an invitation to participate in a contest in Boston. 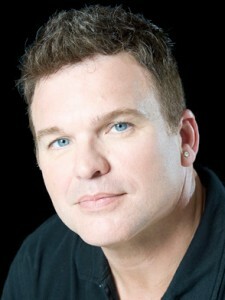 Currently living in Pittsburgh, Dane has received Bistro awards for Outstanding Vocalist and for his recording, Flight, by the critics of BackStage in New York. He has been acclaimed by reviewers at The New York Post, The Boston Globe and BackStage for a style that “blends facets of cabaret and jazz with intelligence and care”. The Boston Globe remarks: “Dane Vannatter’s distinctive style leaves an imprint on whatever music he sings. His voice has a floating quality that gets in your head and won’t leave…his music is a swinging, soaring adventure!”. He has been nominated for four MAC awards and is a Nightlife Award finalist. Carole Sloan with Concord Records proclaims Dane as “my favorite among the young male singers”.